The Belgrade pro-government rally planned for April 19 will be the biggest one “in the last 40, 50 years”, said President Aleksandar Vucic. The President, who leads Serbian Progressive Party (SNS), repeatedly labelled opposition politicians as thieves and fascists. 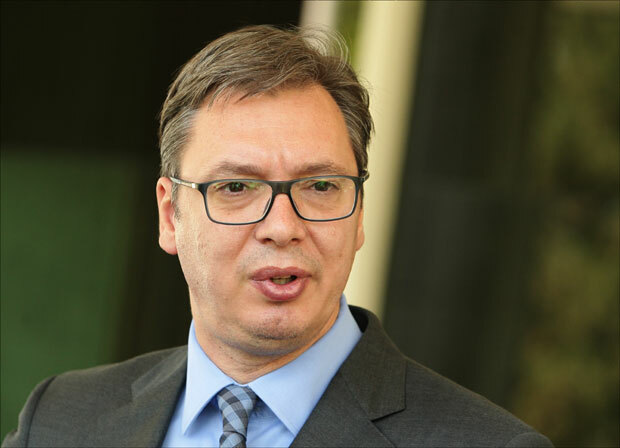 Vucic said on Wednesday that he would defeat the opposition, among other things, by attracting foreign companies, such as Swedish furniture manufacturer Ikea and American cafeteria chain Starbucks, which is to open its first cafe in Belgrade later this month. Vucic claimed that SNS will not organize transportation for its supporters from other parts of Serbia for the Belgrade rally. He rebuffed allegations that people have been forced to attend pro-government rallies, promising that at the gathering in the capital will be “six time more attendants than the opposition ever succeeded to attract”. At the same time, opposition leaders say that transport companies are refusing to put their buses at the disposal of the citizens who want to attend anti-government rally in Belgrade on Saturday. “We have asked transport firms and none of them dared hire us buses for Belgrade. They just say: ‘Please, don’t. They ordered me not to give a single bus… I will have problems’”, Velimir Ilic, leader of Nova Srbija party tweeted. Ilic, former mayor of the town of Cacak, played a significant role in overthrowing former authoritarian president Slobodan Milosevic in year 2000. At that time, Vucic was information minister. On Wednesday, Vucic has also commented claims that opposition leaders would start a hunger strike, suggesting that such a move would not be “clever”. “But I am glad that they have models to follow”. Vucic has probably alluded to his long-time allies – former President Tomislav Nikolic and convicted war criminal Vojislav Seselj – which used to go on hunger strikes in order to achieve their political goals. The president said that the opposition did not succeed in gather even 2,000 people in its protests that have been taking place since December. “We have heard fairy-tales about 80,000 people… but I am talking about exact numbers – 1,627, 1,555, 938, every single person is recorded”. Without mentioning names, he called one opposition leader “fascist” and two others the “worst thieves”.